Disasters are coined in some research studies as the great equalizer. It is because when it strikes, it affects all of us regardless of socioeconomic status, gender, nationality, or differences in beliefs. A disaster, be it man made or not, can bring about widespread damage to our country’s resources, our properties, and even can cause the death of individuals. To avoid a widespread damage, risk assessment plays a key. It will truly help mitigate the effects of disasters to certain institutions. 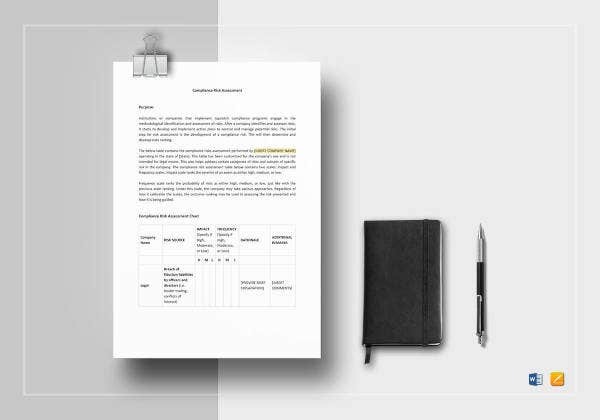 To help you understand and grasp an idea about it, you can start scrolling down and check out our offered templates for you. 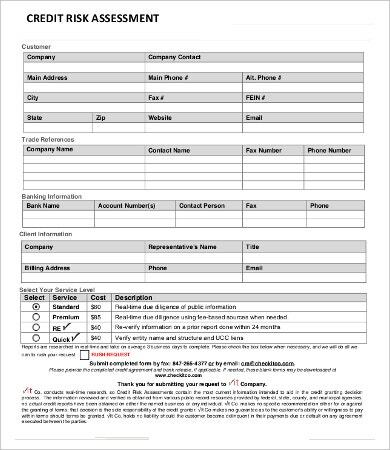 You can also check out our Project Assessment templates, which are also easy to download and use. 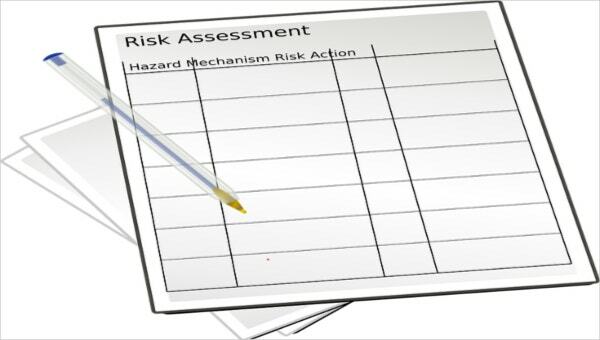 Going back to the rationale behind a risk assessment, it aims to identify the critical points and potentials risks in a certain area or field for preparation and recovery purposes. It is indeed the heart of disaster risk management. Because of the broad coverage and complexity of such field, it is imperative to know some of the established ideas about it. 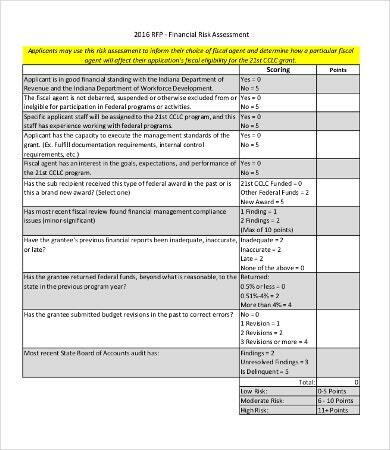 Financial risk assessment. 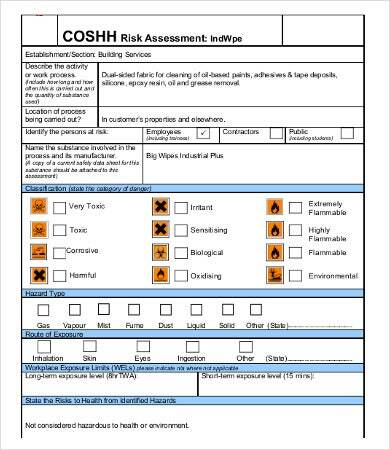 In this type of assessment, the objective is to identify what are the critical risks that may affect your or a company’s financial status. 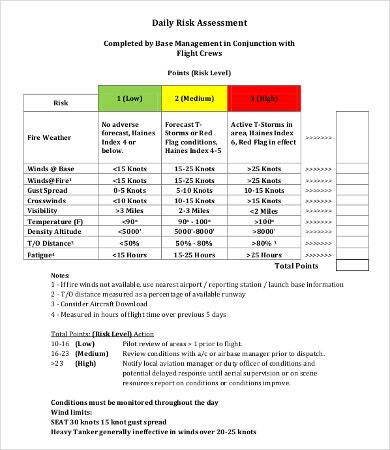 Security risk assessment. It has a broad coverage because security is an all-encompassing issue. It is inevitable in any activity or transaction. It can refer to health security, financial, IT-related, etc. 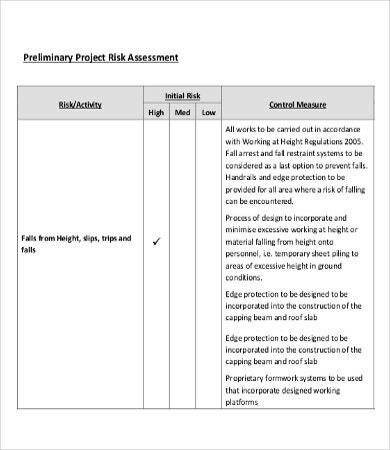 Project risk assessment. 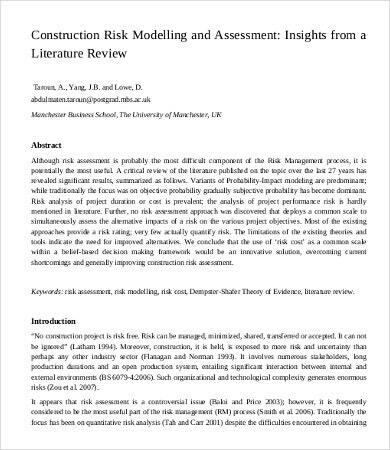 Compared to the other category of risk assessment, this is more specific because it focuses on the dynamics of a certain project. It tries to determine what are the possible risks that the project may encounter in order to mitigate or even avoid widespread damages. 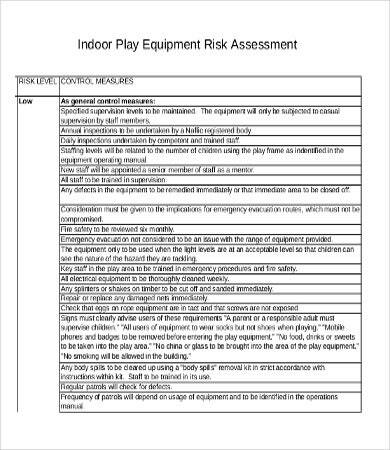 These are just some of the categories of risk assessment. 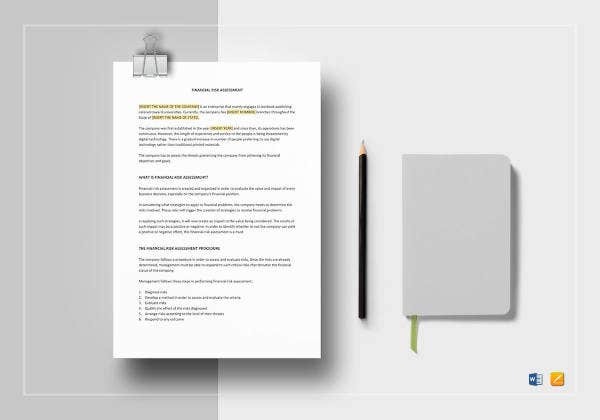 There are still more, but our templates here can definitely help you start up your work. You can also check out our Impact Assessment and Network Assessment templates. Identification of critical and noncritical risks. It is imperative to sort out which aspect should be given much attention and priority. In here, you need to identify which are prone to more damages if unfortunately a disaster will take place. Risk evaluation. After identifying the risks, there is a need to analyze and evaluate them. Try delve deeper in order to know the factors causing the risks. Recording of findings. It is best and advisable to also lay out your findings. They will become the bases for your solutions and cause of actions. Implementation and preparation. In here, you will factor in the possible solutions in order to mitigate the risks. 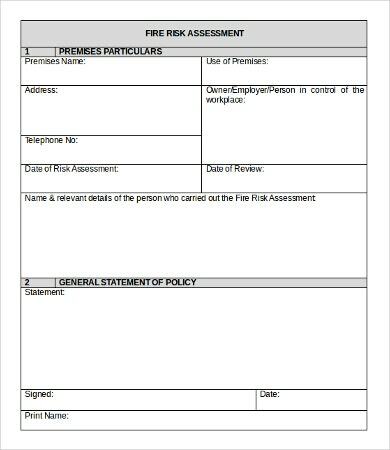 These are just some of the features that will help you in drafting your risk assessment. 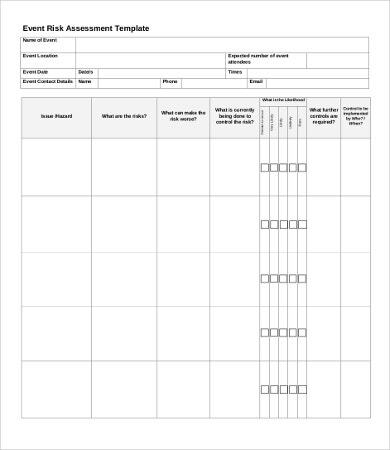 If you’re interested with Self-Assessment templates, we also have some for you.